Sports gambling could raise $100 million in tax revenue, create 2,500 jobs, and add a half-billion dollars to the Illinois economy, according to a new study released Tuesday. But the Illinois Economic Policy Institute report “Legalizing Sports Betting in Illinois” also cautions that it must first set a tax rate competitive with bets placed on the black market in order to survive and thrive. But the potential gains in state revenue are considerable. The paper projects the total Illinois market for sports gambling at $12 billion. Even allowing illegal gambling to preserve just over a fifth of that market, that would still mean $9.4 billion a year in wagers, with $565 million in taxable gambling revenue. Taxed at 15 percent, that would create an estimated $85 million in revenue, with another $24 million in what’s called a federal handle tax, on handling the wager, and $5 million in so-called integrity fees, for compliance and state regulation. Noting that the average legal Las Vegas sports book typically employs more than 26 people, the study projects that 88 licensed outlets — almost one a county — would create $8.8 million from an annual $100,000 licensing fee, while creating 2,570 jobs. Overall, it’s projected to have a $500 million effect on the state economy. The study projects that, under those proposals submitted a year ago, about half of sports gambling would remain in the black market. An illegal sports gambler typically risks an extra 10 percent on the bet, known as the “vigorish,” but if winning the bet gets back the initial layout plus the wager, while a loser is out both the wager and the vig, which goes to the book as profit. Illegal gamblers, of course, are also much less likely to report their winnings when filing state or federal taxes. Co-author Robert Bruno, director of the Project for Middle Class Renewal at the University of Illinois at Urbana-Champaign, posited that if half of all tax revenues were devoted to tuition assistance for higher education, the state could increase Monetary Award Program grants by 10 percent, making college affordable to a wider ranger of students. Gov. 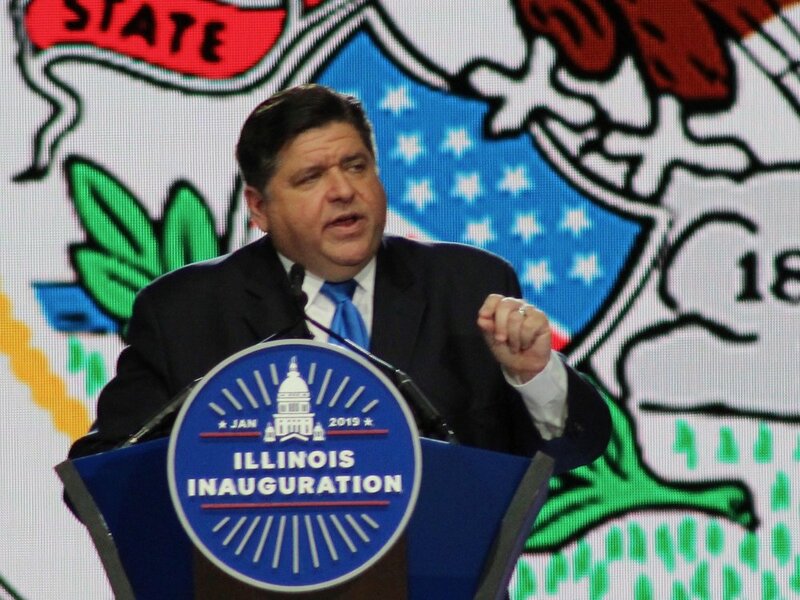 J.B. Pritzker has said he’d look at legal sports gambling as a way to pad state revenues. The U.S. Supreme Court cleared the way for legal sports gambling with a ruling last year, and 10 states have already adopted it.